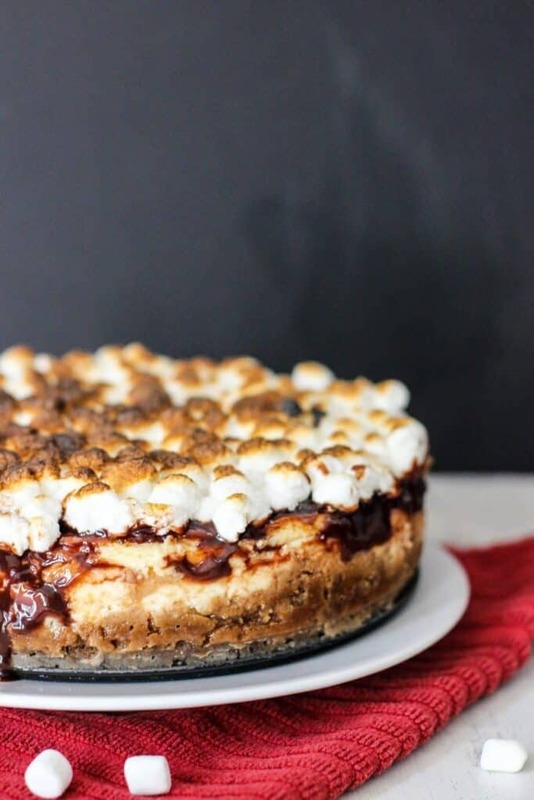 This S’mores Cheesecake is beautiful and decadent. It has all of the flavors you would find in a s’more: graham crackers, chocolate, and (toasted!) marshmallows. I celebrated my birthday last week, and had been in search of the perfect cake for the occasion. I couldn’t decide what I wanted. 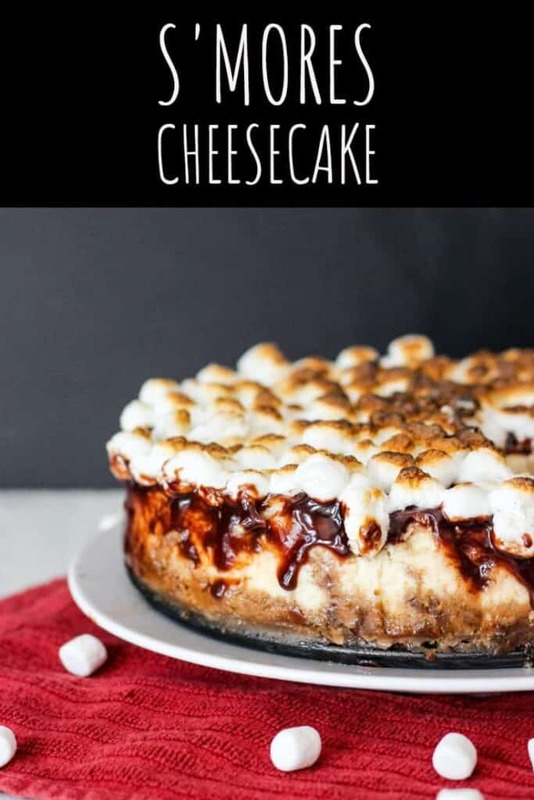 That is, until this cheesecake popped up in my Facebook newsfeed. We’ve done the s’more thing before; s’mores cookies are a family/friend favorite and s’mores cupcakes are a lot of fun. My parents visited over the weekend, so I made this cheesecake for us to enjoy. Then, we didn’t even remember to eat it while they were here. We went out for dinner in Annapolis, had some wine, forgot that this was in the fridge at home, and then ate ice cream. AND. I have some news. I accepted a postdoctoral fellowship at Duke University, so my husband and I will be moving to Durham, NC at the end of the summer! 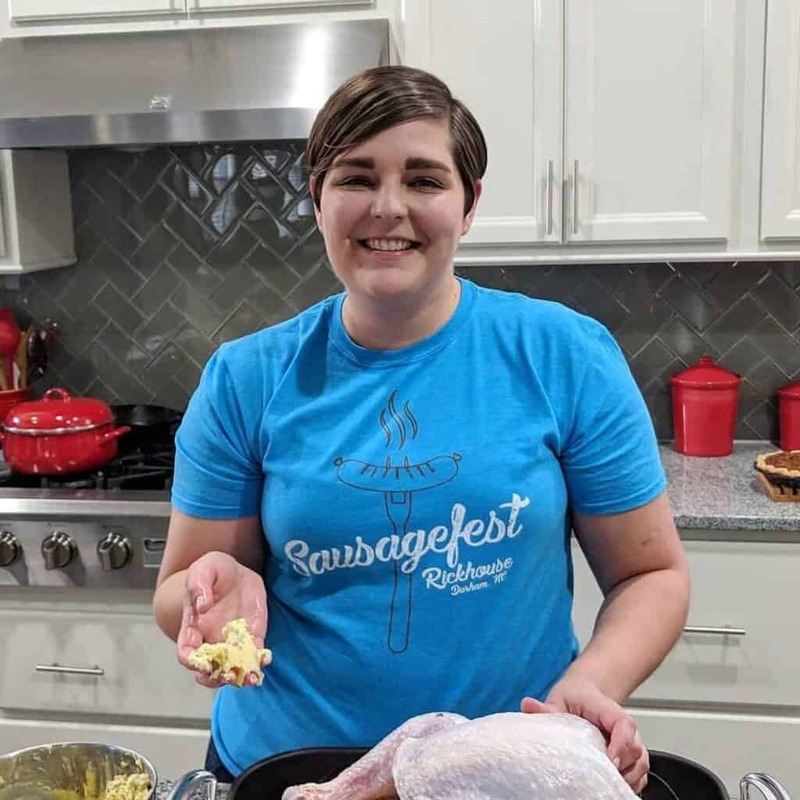 Yes, we’re trading crabs and Old Bay for barbecue and grits. Many details are still being worked out: We’re heading down to Durham this weekend to look at apartments and townhouses, my husband is in the process of finding a job, and we’re still very much in the process of deciding how we’ll accomplish the move. But all of the logistical uncertainties aside, I am incredibly excited about this move. Now, back to our regularly scheduled cheesecake. I saw this recipe on the blog Will Cook for Smiles. Preheat the oven to 325 degrees F. Wrap the bottom of a 9-inch springform pan with foil. Grease the springform pan and set aside. In a small bowl, combine the graham cracker crumbs, brown sugar, vanilla extract, and melted butter. Press the crust into the bottom of the springform pan and halfway up the sides. 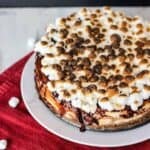 Sprinkle the mini chocolate chips and mini marshmallows across the bottom of the crust. Set aside. In the bowl of a stand mixer, beat the cream cheese on medium speed until fluffy and smooth. Scrape the bottom and sides of the mixing bowl. Beat again for another minute or two. Add the corn starch and granulated sugar. Mix until combined. Add the eggs one at a time, mixing until combined. Add the sour cream, heavy cream, and vanilla extract, beating until everything is well mixed. Make sure to scrape down the sides and bottom of the bowl at least once. Transfer the cheesecake batter to the springform pan, spreading it around to make sure that it's even. To avoid having the top of the cheesecake crack during baking, set the springform pan inside of an oven safe baking pan that is larger than your springform pan. Add water to the baking pan so that it comes halfway up the sides of the springform pan. Slide the water bath and springform pan into the oven and bake for 90-95 minutes. Turn the oven off, open the door halfway, and let the cheesecake start to cool for 10 minutes. Take the cheesecake out of the oven and out of the water bath, and set it on a wire rack. Wait 10 more minutes. Run a butter knife between the cheesecake and springform pan to carefully separate it. Let it cool for another hour. Spread warmed fudge sauce over the top of the cheesecake. 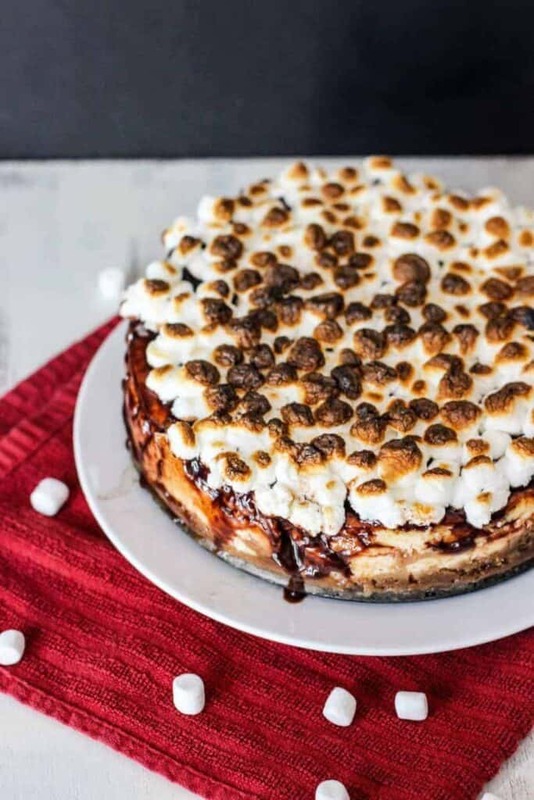 Top with mini marshmallows in an even layer so that the entire top is covered. 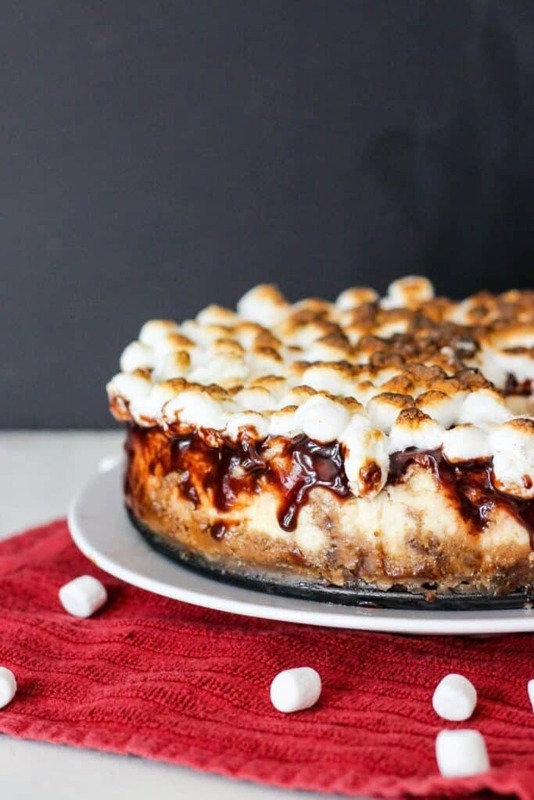 Put the cheesecake under the broiler for about 30 seconds or until the marshmallows are toasted. Let the cheesecake cool completely. Cover and refrigerate for at least 4 hours. Slice and serve! Previous Post: « Bakery Style Double Chocolate Muffins – Updated! oh lawdy, i’m drooling over here! Well, this looks amazing!! 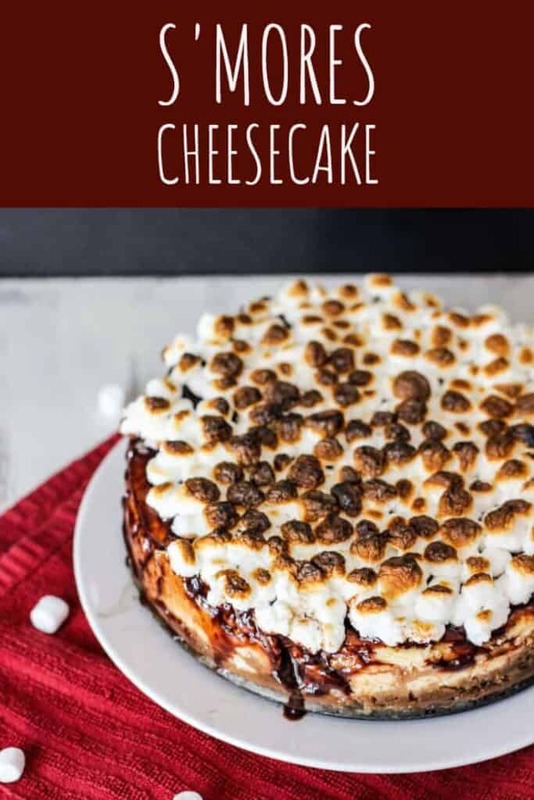 I mean, s’mores AND cheesecake?!! Too Good. NC will be a nice move! It seems so pleasant down there 🙂 Good luck!! Thank you!! I agree s’mores + cheesecake = <3 And thank you for the well wishes =D I'm really looking forward to it. Dude! Yes. I need this. More for me too;) Congrats on your big move! !